Oz Lotteries hosts Australia’s Biggest Morning Tea fundraising event in support of Cancer Council Australia. 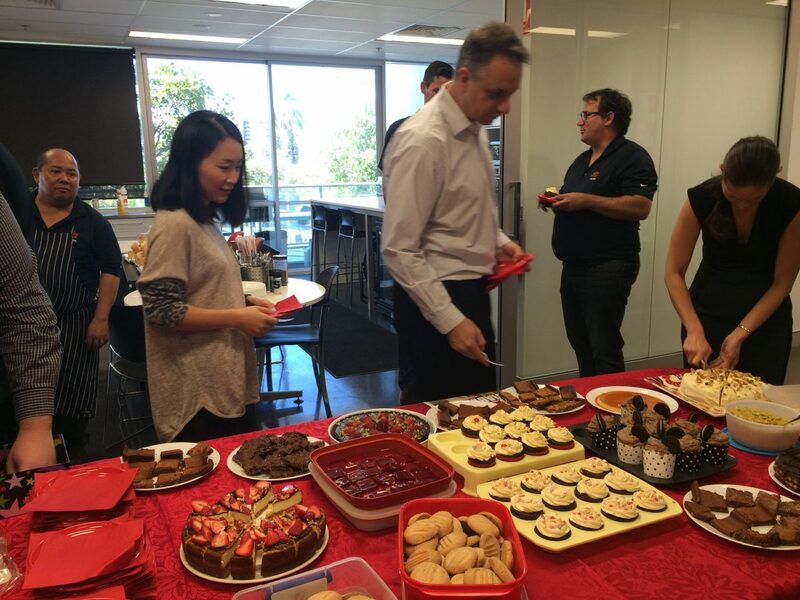 As a part of our commitment at Oz Lotteries to promote awareness and positive workplace culture, as well as support a variety of charitable causes, we’ve had another successful and DELICIOUS event. 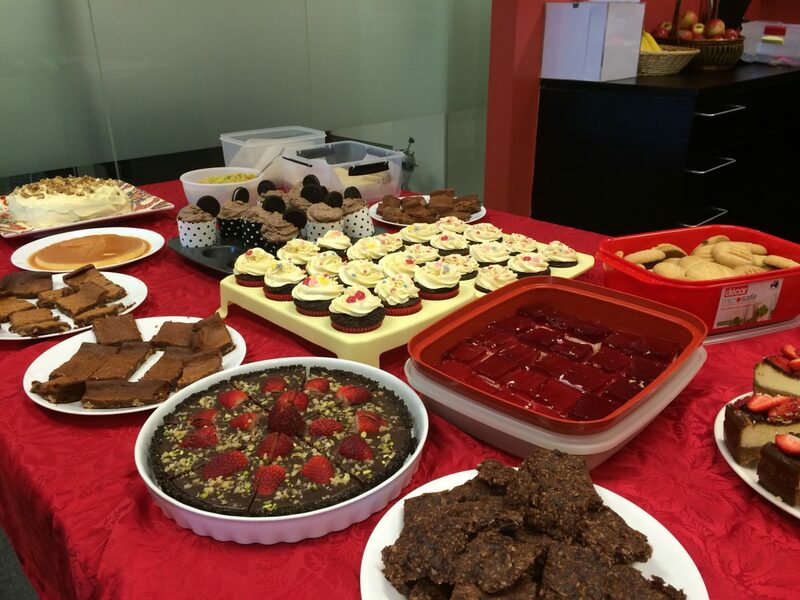 Australia’s Biggest Morning Tea, helping to raise funds for the Cancer Council, invited all Oz Lotteries staff to participate as bakers and consumers of all things sweet. Over 20 staff have contributed as bakers, resulting in a totally tantalizing spread of cakes, brownies, muffins, scones, flans, tarts and cookies. While the rest of the office were able to enjoy a slice of a baked good of their choice and make a donation to support those affected by cancer. The morning tea was a great success with everyone at Oz Lotteries enjoying the food, a chance to get together as a whole big team and support the great cause. Australia’s Biggest Morning Tea is an annual fundraising event held in May and June throughout Australia. It aims to increase awareness and raise much needed funds for cancer research, prevention and support services to those affected by it. Cancer Council Australia have raised an amazing $11.9 million through this popular event in 2015, and is aiming at $13 million this year to help beat cancer. Research – leading independent funders of cancer research in Australia and providing over $70 million in research grants in 2015. Information – providing up-to-date information to doctors and patients. Over 100,000 Australians contact Cancer Council 13 11 20 hotline each year. Prevention – running detection and prevention programs to reduce risk of cancer. On average one in three cancer cases are preventable. Patient support – with an estimated 128,000 new cases of cancer diagnosed in Australia this year, Cancer Council provides assistance for cancer patients, their families and carers around Australia including support groups, services and programs to help improve the quality of life. Treatment – supporting Australia-wide network of health professionals, which develops clinical guidelines to provide the best evidence-based treatment and care for cancer patients. Advocacy – providing advice and recommendations to the government on the cancer control policy. Awareness – supporting programs that educate about the risks of cancer and help people adopt healthier lifestyle choices to help reduce their risk, such as quitting smoking, sun protection, nutrition and healthy eating and benefits of physical activity. Fundraising – organizing events, donations and partnerships to raise money to support the cancer control activities. $50: Ensures a cancer nurse is available on the free, confidential telephone service (13 11 20) to offer support on all aspects of cancer. $100: Allows Cancer Council to support childcare centres and primary schools taking part in the National SunSmart Schools Program. $1000: Brings ground-breaking research into new and better ways to prevent, diagnose and treat cancer.